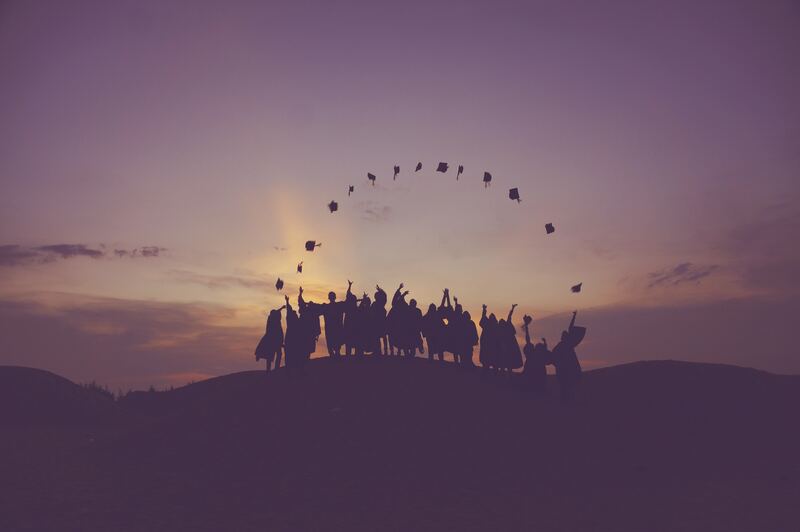 Home › Home News › MMF Archive › Celebrating 100 Tertiary Scholarship Graduates! Can you imagine being the first in your family to graduate university? For many of our graduates, this is their reality, and it makes me even prouder to announce that one hundred of our Mary MacKillop Tertiary Scholarship recipients have now graduated universities across Australia. We are also so proud of the fact that not only do we get our students through tertiary education, but we help to keep them there. A retention rate of 80% is significantly higher than the national average of 47%. What I love about this milestone is that the idea came from one of our donors 20 years ago, who, like Mary, saw a need and did something about it. Today, that donor’s desire to provide an opportunity for tertiary education to a group of people not served in any other way by our systems has helped to fund 100 talented Indigenous Australians to achieve an education, which would have otherwise been out of their reach. If you ever wondered if you make a difference, you do. What makes our scholars’ achievements even more powerful and inspiring is knowing the serious financial barriers and challenges that they have overcome to complete their studies. Your impact doesn’t end at university studies. In February 2017, Prime Minister Turnbull tabled the Close the Gap Report, which highlighted for the first time ever that tertiary educated Aboriginal and Torres Strait Islander people – including all the students that you’ve supported through our foundation – have the same chance of gaining employment as their non-Indigenous counterparts. Isn’t that amazing? Through education, we can lift a person out of disadvantage. Your support is helping to Close the Gap and improve education outcomes. One of our graduates recently shared her story with me. Although she topped her HSC year with a mark of 99 and wanted to work in Medicine, her school suggested a degree in education considering her family circumstances. She spent two months at university in a course to which she had no interest or aptitude before leaving and taking the first job that came along: the make up counter. Eight years on, a customer noticed something more in her and encouraged her to apply to realise her dream of working in medicine. She applied that night and the rest is history. She’s now on her way to being Darwin’s first Indigenous dermatologist! Our Scholarship graduates have completed degrees in 17 areas of study, including medicine, science, the arts, accounting, media, environmental conservation, and teaching. Each of these students is now one step closer to achieving their professional dreams, which wouldn’t have been possible without your support. Like a proud parent, I look forward to watching our graduates thrive in their careers and contribute to their communities in coming years. They’re a truly talented bunch! I am sure you’ll join me in congratulating all of our scholarship recipients and now graduates. We admire their hard work and tenacity. Each of us at the Foundation wishes them well in the next stage of their journeys! You’ve not only helped to transform the lives of these graduates, but you’ve given hope to their families, communities and other students. Our graduates tell us that because they’ve shown the way, now other members of their families see that maybe they too could take that path. They inspire many more Indigenous Australians to consider tertiary education, opening themselves and their families to many more opportunities. I am passionate about ending the disparity of access to education for all Aboriginal and Torres Strait Islander people. There is still work to be done and it is inspiring to know that we’re halfway to achieving our goal of helping 200 students to achieve a tertiary qualification by 2020. If you would like to help us Close the Education Gap, donate here or call us on 02 8912 2720.